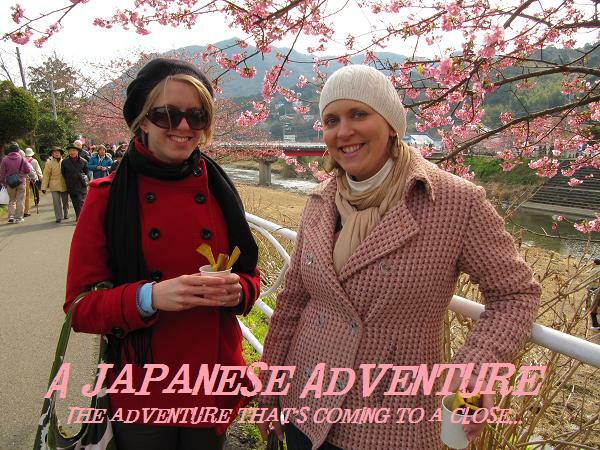 A Japanese Adventure: Happy Friday Everyone! Number 2 – I got to talk to my teacher about my first lesson. Most teachers get to do an entire lesson on themselves (like games and stuff to introduce themselves), but I work at one of the highest level schools in my area. So I’m doing a short self-intro lesson and then jumping into the first lesson on making phone calls in English. My teacher was really impressed with how planned out and organized I was…not hard to do since it’s the only thing I’ve really had to do since I arrived! But, it made me feel good that I was doing something right, and hope that it leads to a little more responsibility at the school…I might go crazy without any work to do! Number 3 – many teachers have been noticing that I study Japanese at school, and I’m being met with very positive responses :) Again, just hoping that it makes the other teachers take me seriously.